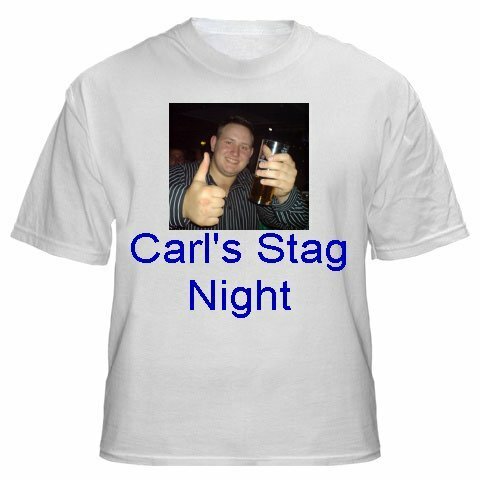 Personalised Printed white Mens Stag T-shirt. Available in 5 sizes. Personalise with your ideas. Perfect for Stag Parties, just add the Stags picture and text of your choice.